Jarius Jessereel Wynn (born August 29, 1986) is an American football defensive end who is currently a free agent. He was drafted by the Green Bay Packers in the sixth round (182nd overall) of the 2009 NFL Draft. He played college football at Georgia. Wynn has also played for the Tennessee Titans, San Diego Chargers. Dallas Cowboys and Buffalo Bills. Wynn attended Lincoln County High School and was First-team GHSA All-State Class-A as a senior defensive lineman in 2004. He earned First-team All-State honors as an offensive lineman in 2003. In 2008, Wynn appeared in 13 games, making twelve starts, recording 54 tackles and six quarterback hurries. After enrolling at Georgia in January 2007, he appeared in and started 13 games. He and finished first on the team with 69 tackles . Wynn attended Georgia Military College and was Second-team National Junior College Athletic Association (NJCAA) All-American honors following the 2006 campaign as well as team captain and defensive MVP. He tallied 21 tackles, including a team-leading eight for losses, two sacks, forced four fumbles and had one fumble recovery in 2006. Wynn was rated the No. 1 junior college defensive tackle prospect in the nation for the class of 2007 by JCGridiron.com. * represents NFL Combine—"X" Denotes "No Data" or "Did Not Participate"
Wynn was selected by the Green Bay packers in the sixth round (182nd overall) of the 2009 NFL Draft. During the 2010 preseason, Wynn was released during the routine cuts that are mandated by the NFL for the 53-man roster. He tried out for the Seattle Seahawks but wasn't signed. 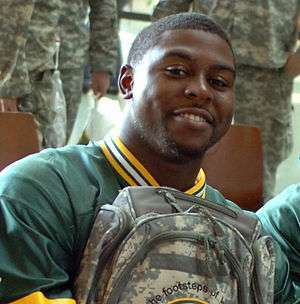 It wasn't long before Green Bay Packer defensive end Justin Harrell was injured during the Packers' season opener against the Philadelphia Eagles, placing him on the injured reserve list for the remainder of the season and causing the Packers to re-sign Wynn on September 14, 2010. On August 27, 2012, the Packers released him in order to meet roster limit requirements. Wynn signed as a free agent with the Tennessee Titans on November 7, 2012. Wynn signed with the San Diego Chargers on April 3, 2013. He posted 3 tackles and one sack in 5 games, before being released on October 8. Wynn was signed by the Dallas Cowboys on October 15, 2013 due to injuries to the team's defensive line. He played mostly as a backup (one start at defensive tackle), finishing with 12 tackles (3 for loss), one sack, 6 quarterback pressures and 2 passes defensed. Wynn signed with the Buffalo Bills as a free agent on April 8, 2014. After registering 18 quarterback pressures, 2 sacks and 2 passes defensed, he was re-signed to a two-year, $2.2 million contract on March 12, 2015. Wynn suffered a torn ACL in the first 2015 preseason game against the Carolina Panthers and was placed on the injured reserve list. Wynn's wife Martavia gave birth to Jaruis's second son, Jarius Jr., on the morning of Super Bowl XLV. He also has another son, Jeremiah, and a daughter Jasiah. Wynn is the cousin of former NFL running back Garrison Hearst. ↑ "Packers Sign Nance And Wynn, Place Grant And Harrell On I.R.". Packers.com. September 14, 2010. Retrieved March 16, 2016. ↑ "Cowboys Waive Two, Sign DE Wynn; One Roster Spot Open". Dallas Cowboys.com. ↑ "Free agent DL Jarius Wynn signs with Buffalo". BuffaloBills.com. April 8, 2014. Retrieved March 16, 2016. ↑ Gantt, Darin (March 12, 2015). "Bills keep the pace up by signing two of their own free agents". NBCSports.com. Retrieved March 16, 2016. ↑ Alper, Josh (August 16, 2015). "Jarius Wynn a "devastating loss" for Bills after ACL injury". NBCSports.com. Retrieved March 16, 2016. ↑ "Wife of Packers' Jarius Wynn has baby on day of Super Bowl". USA Today. February 6, 2011. ↑ "Green Bay Packers: Jarius Wynn". Packers.com.